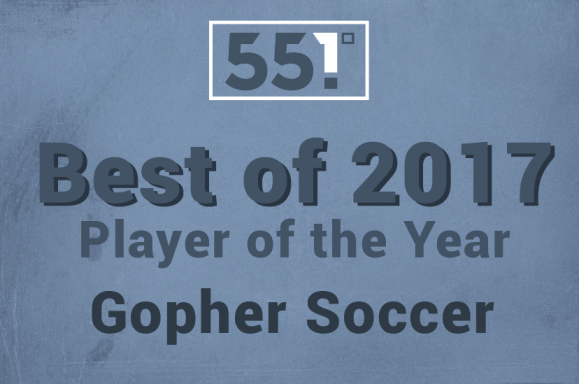 Now that 2017 has come to a close, FiftyFive.One is honoring the best soccer players in Minnesota. This week, we are releasing the shortlists of nominees across six categories. Readers can vote for their favorites with the winners announced next week. The Gophers had another successful run as one of the top teams in the Big Ten. Playing head coach Stefanie Golan’s pressure-and-possess system gave several players the chance to make a real impact, but it made narrowing the nominees even harder. In the end, we felt compelled to list five nominees and two honorable mentions that just couldn’t go unmentioned. Sydney Squires — Squires’ 2017 season can only be described as prolific. On a team filled with hard working, humble team players, Squires is as close as the Gophers came to having some real swagger. Her precision and quickness both on and off the ball made her a constant target for opposing defenses and frequently opened up space for teammates to get into dangerous positions in the final third. Squires’ 12 goals ranked first in the Big Ten and 12th nationally, earning her First-Team All Big Ten and First-Team All Region honors. Her passing ability — and three assists — were largely overshadowed by absolutely filthy finishes. 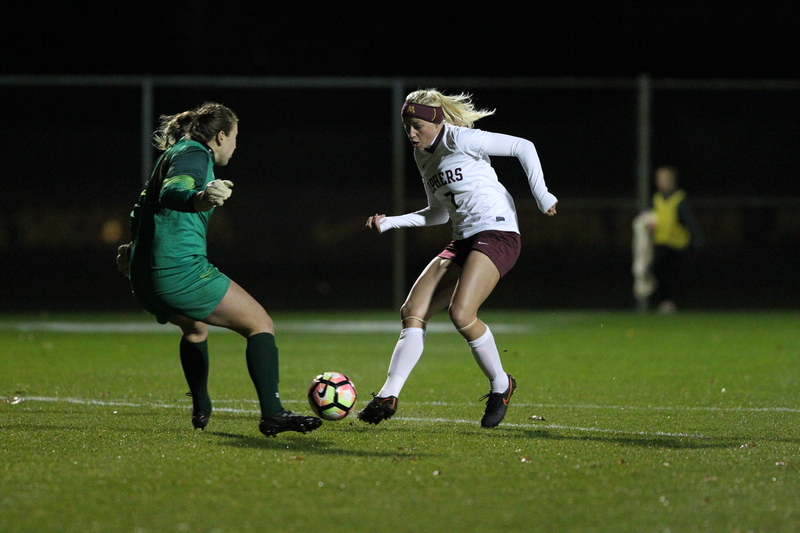 April Bockin — When Squires (or any other Gopher) was putting the ball in the back of the net, more often than not it was Bockin setting them up with an incisive run and diagonal ball into the 18-yard box. Bockin’s stats were impressive. Those 12 assists (first in the Big Ten, third nationally) and four goals speak to her abilities, but may even undersell them. Several times this past season Bockin would make an incredible run or a fantastic pass only for the final shot or pass to miss by an inch or two. After a Third-Team All Big Ten selection for her junior campaign, you get the sense that her senior season could be something truly special. 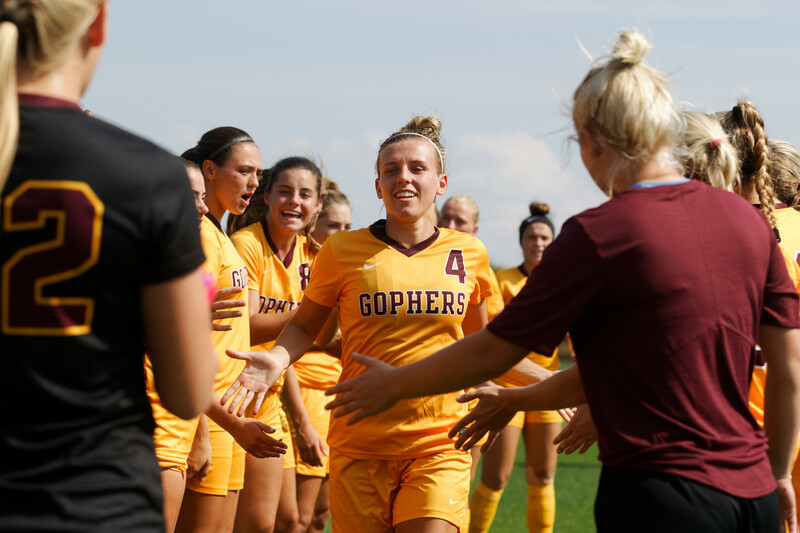 After three years, she’s already ahead of recent Gopher standouts Simone Kolander and Josee Stiever, and the aforementioned Squires, in combined career goals and assists. 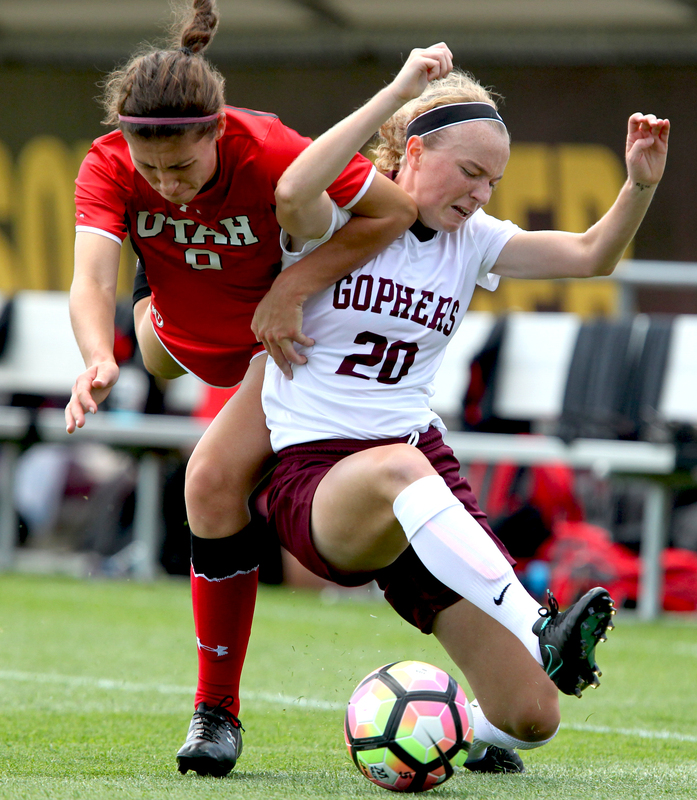 Tori Burnett — My great regret for 2017 was not realizing the need to brand the Gopher center backs for what they were: the Smash Sisters. As a team captain and anchor on the back line, Tori Burnett was imposing. 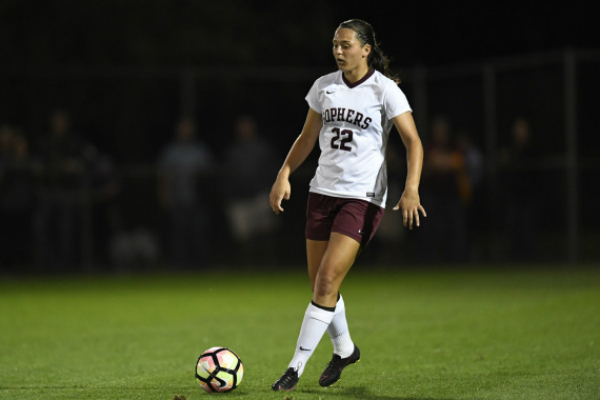 Her physical dominance was impossible to miss, but coaches and observers were also quick to credit her vocal leadership in coordinating a Minnesota defense that frequently stifled opponents. 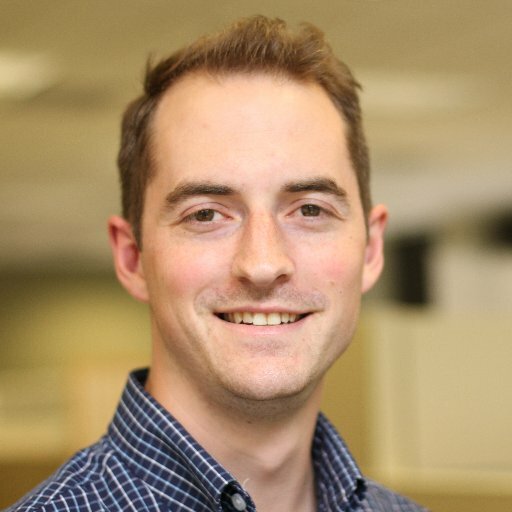 Burnett’s ability to play a ball over the top — either a long free kick or into pace behind the defense — was so dangerous that the team sometimes relied on it a bit too much in the latter part of the season. Burnett’s defensive dominance as well as her two assists helped earn her Second-Team All Big Ten and Third-Team All Region honors. It will be tough to fill her shoes next year. Emily Peterson — No goals, no assists, and no post-season awards. It just goes to show that a player’s value can’t entirely be measured on paper. 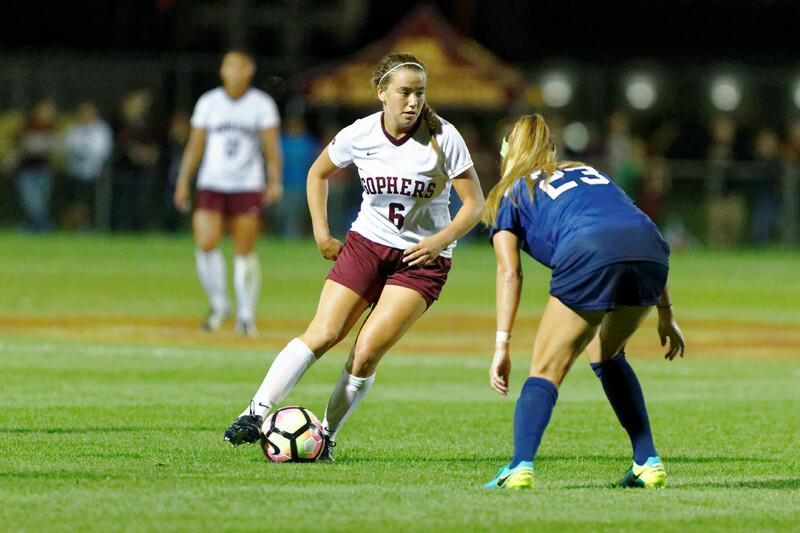 Consistently mentioned as one of the Gopher’s most improved players, Emily Peterson was the stabilizing force that allowed the Minnesota outside backs to be so dangerous in attack. As the second Smash Sister, Petey was the slightly more nimble and agile partner in the center-back pairing. Her ability to cover ground and track down opposing forwards helped her solidify a stout defense, and her passing and touch helped initiate the attack and maintain possession. Peterson has been named one of two captains for 2018 and she’ll be asked to marshal a back line with two new starters next season. Molly Fiedler — The player who may best represent head coach Stefanie Golan’s system is Fiedler. She moves off the ball. She connects the back line to the attackers. She passes well. She defends and presses hard. When she has a chance, she’ll take a shot, but she’s much more comfortable recirculating the ball to find a higher-percentage shot. That humble, no-nonsense playing style meant Fiedler got little, if any, attention during broadcasts, nor headlines. But other coaches certainly paid attention. Her one-goal, eight-assist campaign earned her Second-Team All Big Ten honors and large expectations for 2018. She also had one of my favorite moments of the season. Emily Heslin and Julianna Gernes — My list really shouldn’t be this long, but I absolutely refuse to create a list of nominees that excludes Heslin and Gernes. Both were skunked from any post-season recognition and I am personally correcting for that mistake here and now. While Fiedler played as more of a No. 8, Heslin was more of a No. 6. Her hustle, grit, and determination frequently shut down counterattacks before they could begin, and her passing and touch kept the back line connected to the rest of the midfield. Also, she scored the occasional, spectacular goal. For a team that struggled mightily at times with finishing, it would be a crime not to mention Gernes. The senior’s nine goals were second on the team and equaled the combined total of Minnesota’s three next-highest scorers. Her 51-percent on-goal shooting percentage easily led the team, and a significant number of those shots carried serious mustard. Gernes’ overtime goal at Nebraska clinched home-field advantage in the Big Ten Tournament, and Gopher fans are truly going to miss watching her play.